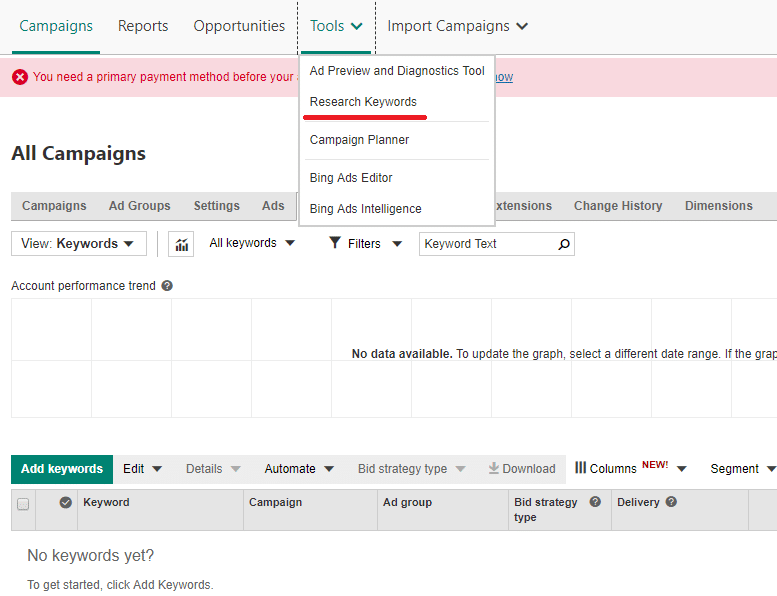 How To Gather The Best Keywords For SEO And PPC Campaings in Bing Ads, Google Adwords With Kparser Planner As Bing Keyword Tool Alternative? Due to SearchEngineJournal news from May 20, 2016, “Microsoft’s share of desktop search is now sitting at 21.6%” in US. So, every fifth internet user in USA, search information with Bing. What does this statistics give for SEO specialists, bloggers and online enterprenuers? This is an interesting information for important questions to yourself. How much traffic does your site receive from Bing now? How much traffic could your site receive from Bing with using correct keywords? Which search engine is more competitive: Google or Bing? And what does that mean for your SEO strategy? Answer on these questions yourself. Regardless your actual strategy, we guess you’ll find useful tips about using Bing Keyword Planner below. 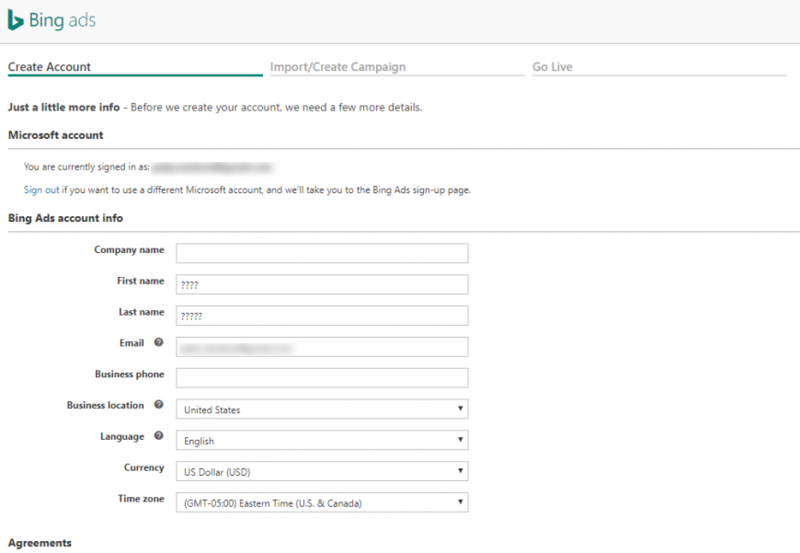 Bing Ads is a great way to scale your successes in PPC traffic. You have to main ways to do it. 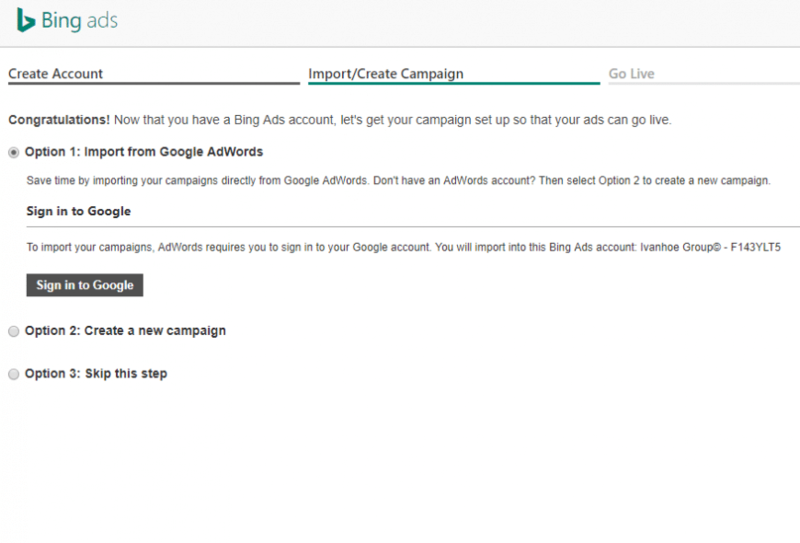 Import Google Adwords campaings to your Bing account. The second way is more easy. Structure of interface is very similar in Adwords and Bing. So, if you have a good optimized campaign in Adwords, there are no reasons to repeat all steps and errors in Bing Ads again. But you also should remember one thing. Any case can be done better. Every good PPC campaign have points to grow: adding more long tail keywords to campaigns, creating scripts for automation, testing different bids and ad titles, descriptions. 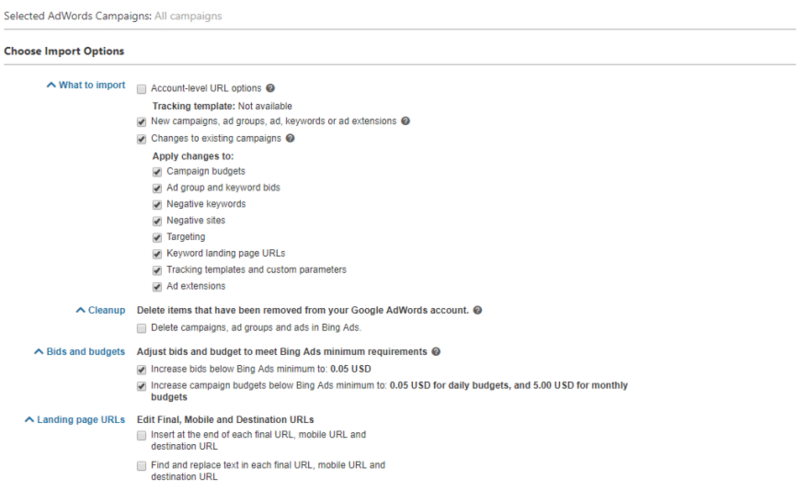 So, your great PPC campaign with high Adwords quality score can be improved by new keywords from Bing Keyword Planner. The main thought is follow. Your professional level in PPC can be easy used in Bing Ads. The other side of Bing using is organic traffic. 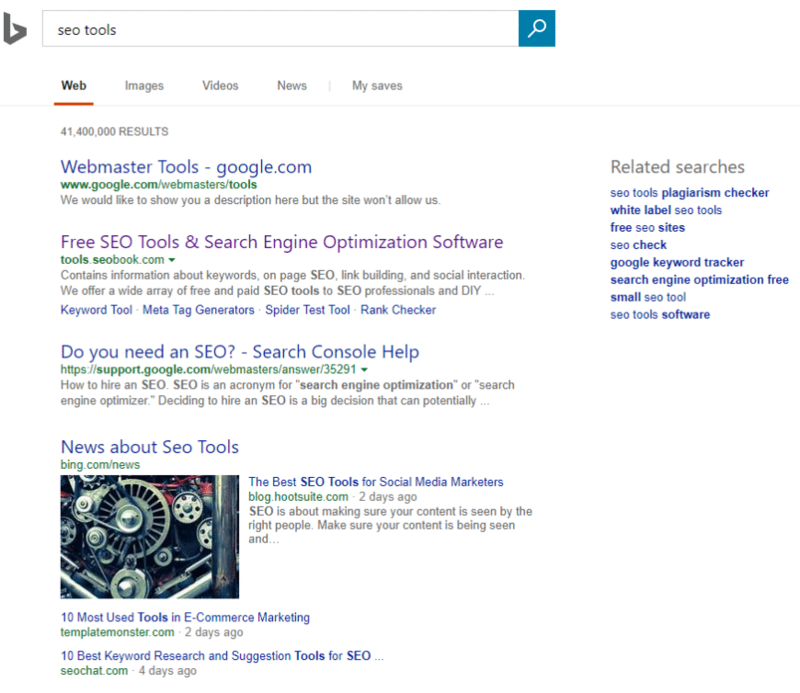 Bing shows other results than Google by the same queries. But key factors of ranking are very similar: content’s relevance to keywords, domain authority, social signals, user behavior, page size and speed etc. Bing also use own autosuggest algorithm for better user experience. The simplest way is to use similar stepss as in using Google Autosuggest Tool. When you optimize your page by exact keywords, you can expand sematic core by suggestion on search. It takes only 1-2 minutes, but you grow your opportunities in getting more traffic. The professional way is using Bing keyword research tool or any alternative to that tool, that gives you search volume and competition level by keywords. The main problem in using Bing tools is long necessary registration. It’s not a problem, if you have an registered account. But another way, if you have no goal to use Bing Ads in the future. Great thing, that Bing search tool shows number of impressions, clicks, CTR and spent money in addition to search volume and average CPC data. But the another problem is a limited number of suggestions per keyword. In advanced options of Bing keyword research you can choose only 60 suggestions as a maximum. How can Kparser help you to find long tail suggestions for better ranking in Bing? Opportuinity to use alphabets, numbers, questions, prepositions and custom text for getting more relevant suggestions. Opportunity to collect negative keywords easily. Opportunity to get more suggestions, than 60 per keyword. 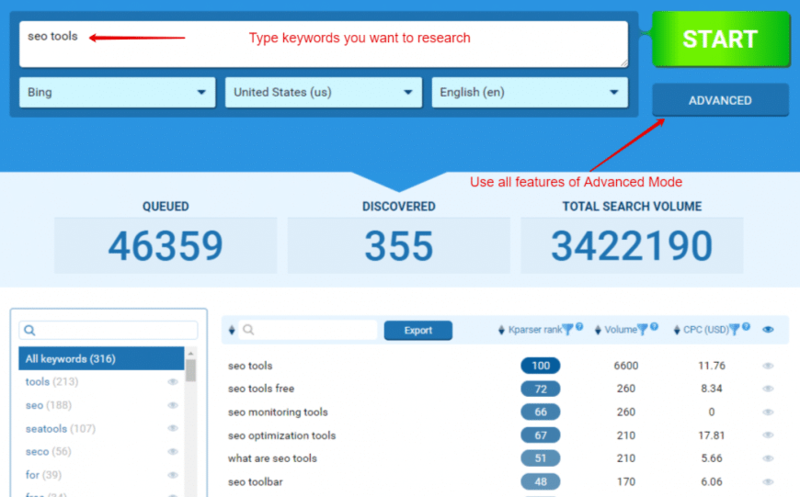 Why Kparser is better, than other similar keyword research tools? Convenience and speed of the working process (includes the speed of parsing, possibility to sort, filter, and group results in a few clicks). So, do you want to evaluate influence of these vectors? Try it once and get a new experience in working with Bing keyword tool alternative.